Yesterday was D's birthday. We celebrated over the weekend, and ate way too much cake, but I thought we still needed to sing and blow out candles on the official date. 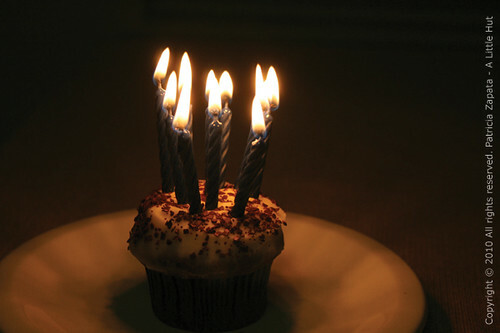 No one believed me that the cupcake could handle the 11 candles—but it did. He's in fifth grade, still wears his feelings on his sleeves, still loves hugs, enjoys reading (unless he's told to do so for homework), loves his Legos and soccer and he's half-way up my nose in height. It goes by in the blink of an eye—I say that every year. But this time I was more keenly aware of it. I was up late working on a project and I realized it was around the time he was born (a little past 1am). I stopped, closed my eyes and really thought about everything that surrounded those first few minutes of his life eleven years ago. And wow. I still feel it all. I still remember it with the same warmth and excitement.